(INDIANAPOLIS) — After breaking an all-time box office record at The Cat Theatre in Carmel over Independence Day weekend, Magic Thread Cabaret is bringing its hit show “Katy Gentry: Judy Garland LIVE!” to downtown Indianapolis’ thriving Mass Ave Arts &amp; Cultural District for a special engagement this Christmas season. A box office smash during its July run at The Cat, “Judy Garland LIVE!” will delight new audiences with the powerful voice and personal touches that Gentry brings to the iconic entertainer’s songbook. Gentry will sing “Come Rain or Come Shine,” “When You’re Smiling,” “The Man That Got Away,” “Zing! Went The Strings of My Heart,” and many other classics. A formidable talent in her own right, Gentry weaves stories of her own struggles and triumphs, relating them to the music and milestones of her idol. 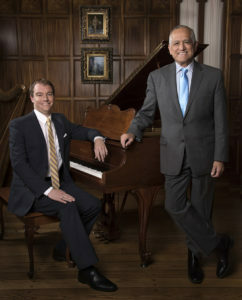 Accompanied by the dynamic trio of music director and pianist-composer Dustin Klein, bassist Christian Starnes and a drummer, Judy’s spirit fills the room “in a way that, while reminiscent of the legend, also allows Gentry’s own star power to shine through,&quot; as one arts critic so accurately described. 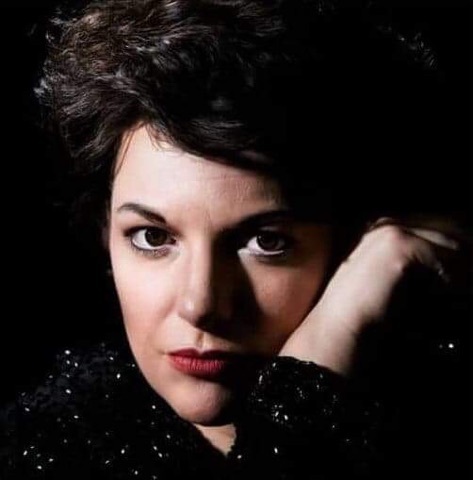 Tickets are now on sale for “Katy Gentry: Judy Garland LIVE!” for December 7, 8, 14 &amp; 15 at 7:30 p.m. and December 9 &amp; 16 at 4:00 p.m. at The District Theatre Cabaret Stage, 627 Mass Ave. in Indianapolis. Tickets are $30 for general admission, $25 for seniors (65+) and $20 for students with a valid ID. Cash beer and wine bar and snacks are available. Patrons can buy tickets online at www.indyfringe.org or by calling 317-308-9800. Before Gentry’s encore performance in Indianapolis, Magic Thread Cabaret will present the final act of the 2017-18 season, “Melissa Schott: The Key of Me,” at The Cat on November 16-18. 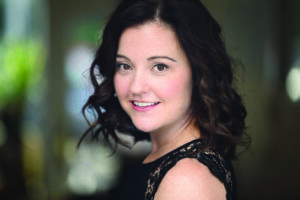 Schott brings a blend of pop, Broadway and folk to her cabaret, making “you feel like she’s singing it just for you,” according to Indiana Auditions. You will spot Schott playing a waitress in the next season of Amazon’s “The Marvelous Mrs. Maisel.” The New Palestine, Indiana native has toured nationally with Cirque du Soleil’s “Banana Shpeel,” performed as a soloist across the U.S. and Canada in the symphony pops concert “Classic FM” and was a member of the National Company of “Irving Berlin’s White Christmas” at Detroit’s Fox Theatre. The singer-dancer-actress was invited to perform as a featured soloist at the Adrienne Arsht Center’s 11th Annual Gala, A Celebration of Women in the Arts, alongside Chita Rivera, Rita Moreno, Vanessa Williams and Gloria Estefan, with the latter star remarking, “I wish I could tap like that. It would be a dream!” Schott is an award-winning choreographer and currently teaches tap at Broadway Dance Center in the heart of Times Square in New York. Tickets for “Melissa Schott: The Key of Me” will be on sale one month prior to the run, with performance dates as follows: November 16 &amp; 17 at 7:30 p.m. and November 18 at 4:00 p.m. at The Cat Theatre, 254 Veterans Way in Carmel. Tickets are $35 and $25 and reflect seating options and will be available at www.kleinandalvarez.com. 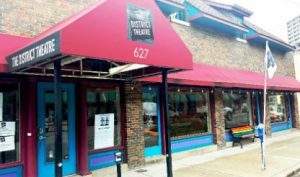 In November 2017, Klein and Alvarez debuted Magic Thread Cabaret, a nonprofit venture with the goal of “Connecting songs to the soul.” The series is made possible by a generous $10,000 gift from arts patrons and philanthropists Marianne Glick and Mike Woods. It is fiscally sponsored by Fractured Atlas, the New York-based nonprofit technology company that provides business tools for artists. Other sponsors include Frank and Katrina Basile, Terry and Louise Lingner, Christina Kite, Noble Consulting, Diane Meyer Simon, Rachel Simon, BMO Harris Bank, Nancy Landman and Jeri Starbuck. Current Publishing is the media sponsor.